Danish serial killer Dagmar Overbye was also known as Dagmar Johanne Amalie Overbye murdered between 9 to 25 children including one of her own children. 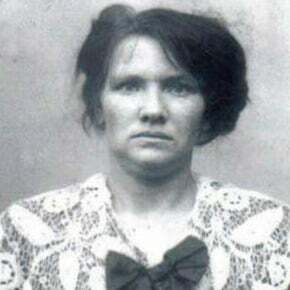 She committed her murder spree for seven years between 1913 to 1920 and killed her victims who were children by strangling them, drowning them or burning her victims to death in her masonry heater. She cremated, buried or hid the corpse in the loft. Dagmar was a professional child caretaker who was born on April 23, 1887, in Skanderborg, Denmark and died in prison on May 6, 1929, at age 42 in Vestre Faengsel, Copenhagen, Denmark. Her three children names are Erena Marie Overbye Nielsen, Poul Lemmer, and Axel Overbye. Dagmar cared for children/babies born out of wedlock/marriage. She was arrested on September 12, 1920, in Norrebro, Copenhagen, Denmark and was sentenced to the death penalty on March 3, 1921. Her sentence terms were changed on May 25, 1921, to life in prison. Dagmar"s trial was one of the most famous trials in Danish history, which eventually changed the legislation on childcare. Dagmar was convicted of nine murders because there was no proof that she committed/killed the other children. The judge tried to convince the jury/judge that Dagmar carried out her killing spree because she was abused as a baby, but the judge was not impressed by that. Dagmar was one of three women given a death sentence in Denmark in the 20th century, but the three women were reprieved. The Politihistorisk Museum which is also the Museum of Police History in Norrebro, Copenhagen have notes on Dagmar"s murder case. Dagmar Overbye serial killer is a female serial killer.